The mountains allow all those with a big heart to exist, provided they get, sometimes, a little but necessary help. “The summits of dignity” a moving documentary by Yoann Perié retraces the encounter between some Grenoble high school youngsters and four people living in a precarious situation. It highlights the late Jafar. A snowboarder, which lived for 35 years in the street and knew drug. But despite his chaotic life, Jafar never stopped to love mountain and his snowboard. It was in June 2012 that things have taken shape with a two days course organized in the Ecrins massif with an ascent to the “Promontoire hut” at 3090 meters altitude. Twenty youngsters from a Grenoble high school and six members of of the “water point” (Point d’eau) association, including Jafar were participating. 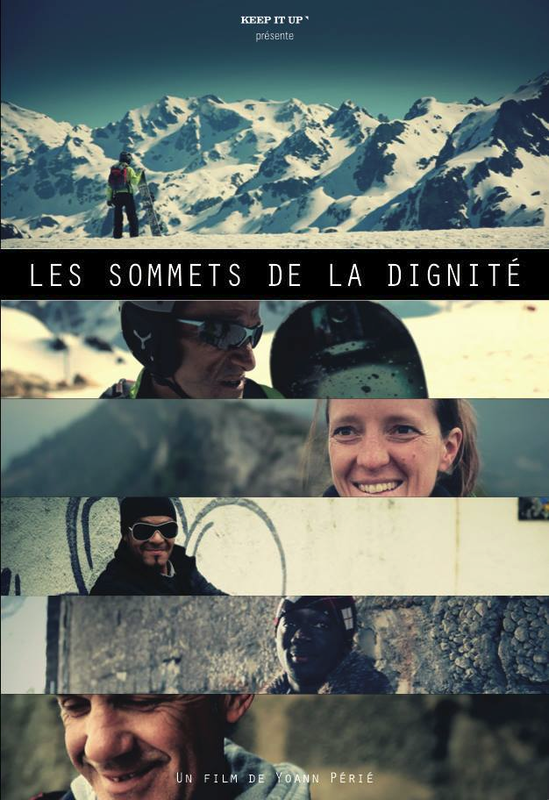 This opportunity to share small moments and the beautiful epic final at the “Promontoire” hut have been transposed to the screen with sincerity. The “water point” association, in Grenoble, devotes its action to people in precarious conditions, they decided to use the power of the mountains to help them regain their dignity. Jafar died recently in his small 7 square meters apartment.